The sixth round of the Eurocup regular season featured 18 more games across Europe and it was of a singular nature since neither of the top two individual performances of the week belonged to players on winning teams, so the weekly MVP honors go to Loukas Mavrokefalidis of AEK Athens and Ksistof Lavrinovic of Lietuvos Rytas Vilnius, each of them with an index rating performance of 36. Lavrinovic led his team on a valuable road win at Besiktas Sompo Japan Istanbul with his 28 points on an almost perfect shooting night (6 of 7 twos, 3 of 4 threes and 7 of 7 free throws), 3 rebounds, 2 assists and 7 drawn fouls. For his part, Mavrokefalidis has become one of the most dominant players ever in the competition at this point with an average index rating performance of 32.5 after six weeks. This time he led AEK with 29 points, 10 rebounds, 4 assists, 1 steal and 8 drawn fouls. The top performances of the week belonged to D.J. Cooper of Krasny Oktyabr Volgograd with an index rating performance of 42 in a losing effort, followed by Errick McCollum's 39 for Galatasaray Odeabank Istanbul. 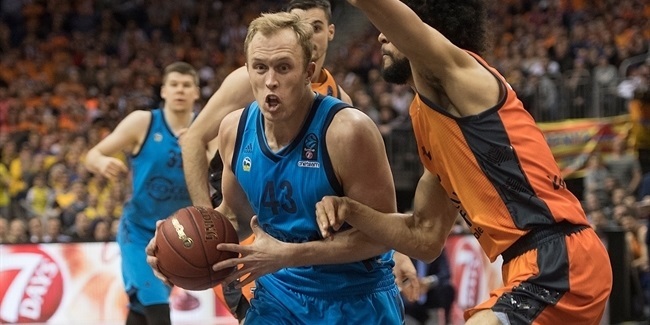 Nathan Wolters of Besiktas also racked a 36 index rating but his team lost to Lietuvos Rytas. Wolters was the top scorer this week thanks to his 34 points, the fifth best mark this season. McCollum followed him with 30 points. 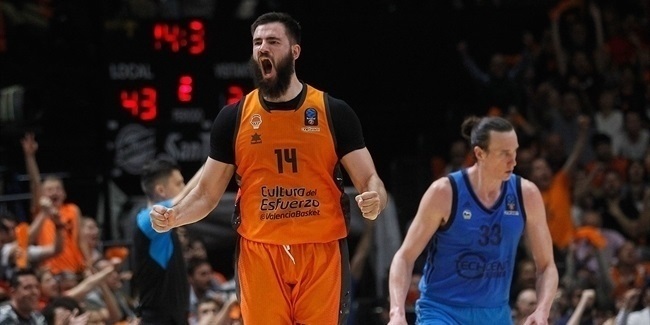 Adrien Moerman of Banvit Bandirma was huge under the boards this week and pulled 14 rebounds, 11 defensive and 3 offensive, the most this week. Denys Lukashov of Avtodor Saratov was the best passer of the week with his 11 assists. 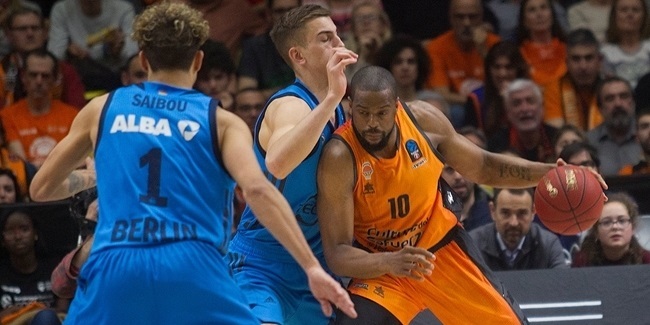 On the defensive end, three players tied at 5 steals apiece: Jerel McNeal of Aris Thessaloniki, Donta Smith of Hapoel Bank Yahav Jerusalem and Wolters of Besiktas, while Kevin Tumba of Proximus Spirou Charleroi was the best stopper in the paint with his 5 blocks, matching the best performance this season.